The Wallaby POS Stand offers a flexible platform that can flip between retail point of sale and hospitality self-order kiosk. Equipped to house a standard 3" printer, an expansion module and connectivity for a variety of peripherals, the Wallaby POS Stand helps deliver a seamless and engaging checkout experience. 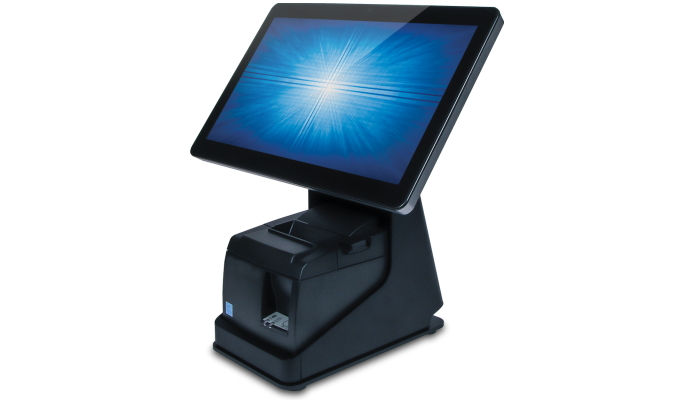 Built purposefully with the ease of installation in mind, the Wallaby POS Stands offer the ability to use existing hardware including a full-size standard printer and EMV Payment Device. You can also add an expansion module for additional connectivity to peripherals - all with the durability and processing speed needed in a compact form factor. The stand offers built-in housing to install a printer in a clean, cable-free installation. Compatible with select Epson and Star printers. Elo's expansion module seamlessly integrates underneath the printer or can be mounted under the counter to increase connectivity and provide clean cable management. 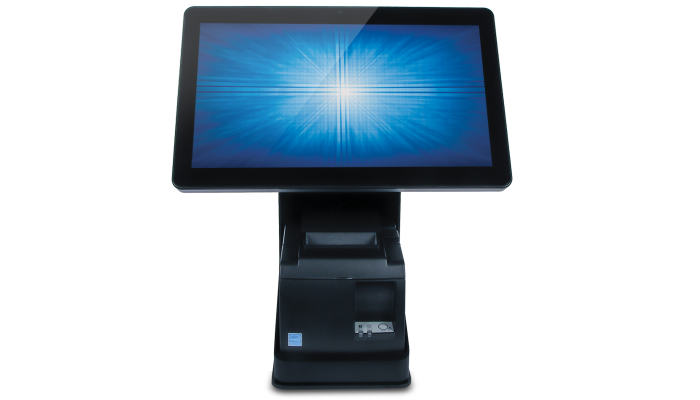 With the EMV Cradle, you can securely mount popular Verifone and Ingenico devices directly to the screen. 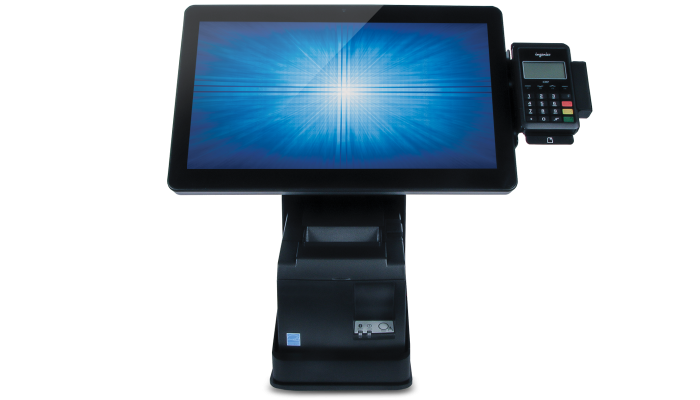 Interactive customer facing displays are a critical component to the POS terminal. 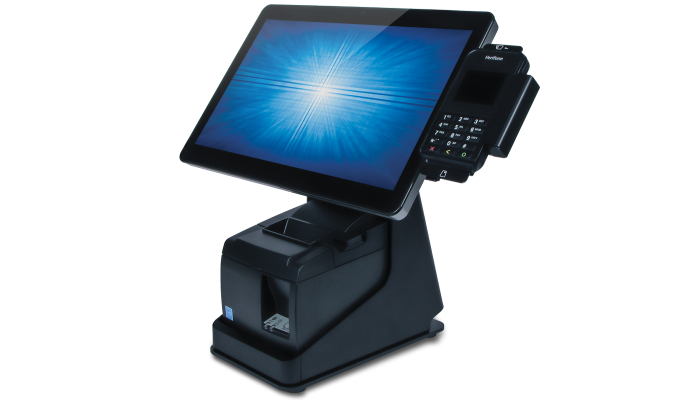 Whether you use flip-to-sign or two displays on a fixed POS terminal, both allow¬†you to display itemized order information, tipping, digital signature and loyalty programs to your customers. Our flip-to-sign model allows the monitor to flip from the staff point of view to the customer. With a fixed system, two monitors are on the device, one facing the customer and the other facing the staff. The Wallaby POS Stands are designed to support Elo's most popular all-in-one products. Touchscreens are used across the point-of-sale space to engage shoppers, reward loyalty, and ensure fast service. Whether you are a boutique shop, an entertainment arena or a global retail brand, the Wallaby POS solution — available with AndroidTM, an mPOS (mobile OS) platform, or Windows — can help ensure a seamless transaction experience for your customers. Connectivity is easy with the Wallaby POS solutions. Your I-Series or X-Series can connect wirelessly with Wi-Fi 802.11 or Bluetooth¬Æ 4.0 or through a wired connection with Ethernet. **3-year standard warranty applies to the POS Stand only. Elo I-series, X-series and any peripherals attached may carry their own warranty.